For a couple of days, I've been talking around the main question here: Do I keep the Beast and go do the kind of trips I'm learning I like? Or do I spiff it up and sell it? One major factor is cost: Not so much the direct cost of travel, but a continuous stream of fairly major repair and maintenance expenses. It's a 1999 vehicle, after all. The ones I now know about involve completing the rear axle/differential repairs, and repairing/replacing the air spring(s). Yes, I can change my own oil, but that's not going to save a whole lot of money. I once briefly had a boat, and the saying was true: boats are a hole in the water that you pour money into. RV's, I think, are like that. There's a long list of items on my Amazon RV wish list. Some of them, like the solar-powered inflatable LED lantern, are things which took my fancy as I browsed or read about them on other blogs, and simply look like fun. Others are more like tools than toys: a nozzle to clean out the holding tanks, for example. A hatchet for those nights when a campfire seems like a good idea and wood must be split. A folding shovel for when "cat-scratch" sanitation is permissible. And others are things which make living in a small box more pleasant and easy: a cover for the stove top to give me more kitchen counter space. 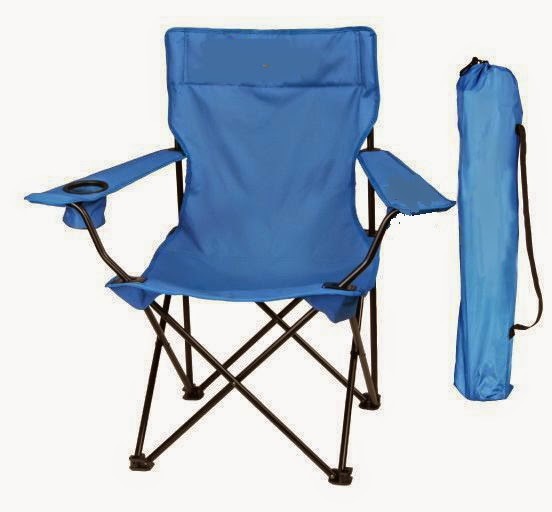 And an item which still eludes me: a comfortable, lightweight chair for sitting and reading, inside or outside. The Verizon hot spot works well, and Verizon has the best network for my purposes. Got that! But do I need a cell phone signal booster? What about a satellite communicator for emergencies when I'm out of cell phone range? You get the idea. If you're anything of a gadget freak, or enjoy good tools, then you'll really get it. I can treat these as hobby expenses, which they are, and buy them as I can afford them. No, it's the likelihood of major repairs and upgrades which concern me. For example, do I spend $1000 to beef up my solar capacity? As I list these out, it occurs to me that perhaps I'm not at the decision point I've imagined. The major repairs I know about simply have to be done, keep it or sell it. No decision involved. With the exception of really major upgrades, I can chip away at the little stuff without breaking the bank. And it's fun, dammit, which is the point. PS: I think I'm done ruminating about the future. Thanks for listening! As I said at the end of my last post, I've had the rig for a year (and a few days, actually: March 18th is the anniversary) and it's time for the general review. I don't like commercial RV parks much. My experience is that they're crowded and pretty ugly. I do see the point in staying at one from time to time to dump holding tanks, fill up water, and run off shore power if I need to charge batteries. By comparison with most motels, they're cheap. But I'll be looking for state parks and the like when boondocking isn't feasible. If I'm just trying to get from here to there, any parking lot in a storm! My two experiences on my trip to Albuquerque were fine: One truck stop, one restaurant lot. Just a place to stay. No biggie. The days up at Site 73 were the best I've had yet with the Beast: big open views, uncrowded to say the least (after I chased away the folks from Vashon Island.) But there were some issues I need to pay attention to. If the weather had closed in and the solar panel couldn't hack it, I'd have had to move or run the generator for a couple of hours to recharge. The 55-gallon gas tank was maybe 2/3 full, and the generator burns about 1/2 a gallon an hour, so that would have been an option. 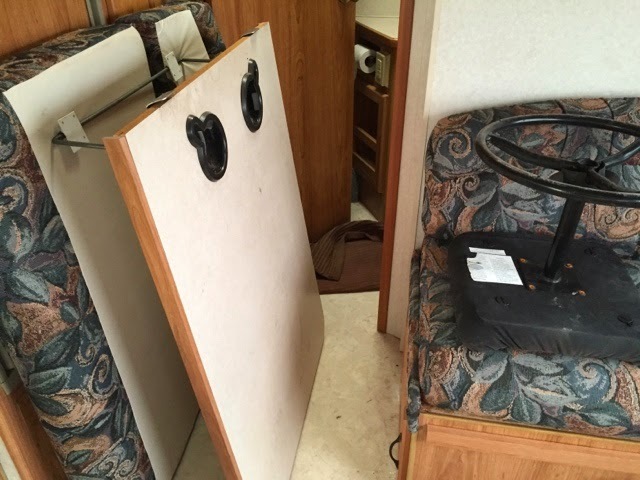 I have a real hangup about using the generator, which I think comes from years ago as a tent camper, encountering an RV with a noisy smelly generator. So I have to keep reminding myself it's there. 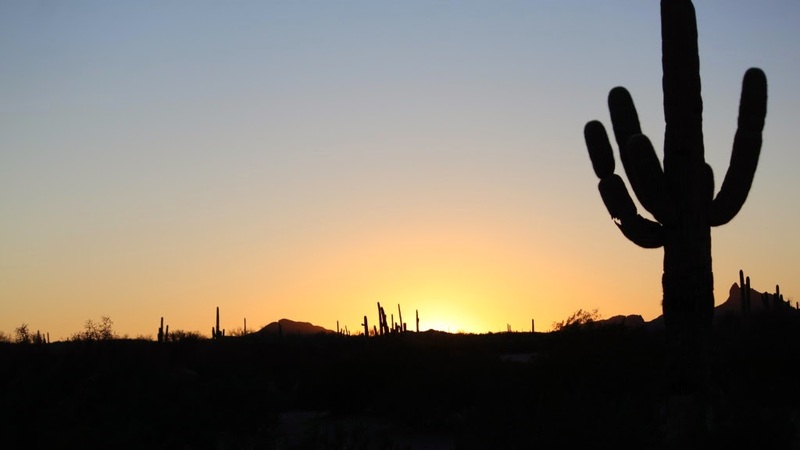 I need to back up and remember what my original motive was for getting an RV: getting out of Tucson summer heat. I started reading a blog Called "Cheap RV Living," written by a guy named Bob Wells, who's something of a celebrity in the small world of full-time RV living or "van dwelling." He spends summers, or parts of them, parked right outside of Flagstaff on A-1 Mountain Road. I've been there. He spends winters in southern AZ, seems to use places like Cottonwood and Prescott when it gets hot down here, and then moves up to Flagstaff later in the season. The specific locations are less important than the concept. Here's a guy living in places I know and like, pretty much for free, in the summer. It's perfectly legal. ** And it's affordable! The expensive part of RV travel is road time. The cost of getting to and from Flag is pretty small. (About $160). ** Bob reminds me about the Forest Service' 14-day rule, which is energetically enforced in the Coconino National Forest: no "dispersed camping" for more than 14 days in any 30-day period. Hmmm. The trip to Ajo and Buenos Aires helped me focus on some issues. Some of these are technical matters about what needs to be done to the Beast before I undertake more extended travel. Near the top of that list is an issue I discovered as I was prepping the rig for the trip home: the drivers' side air spring isn't holding air. That's not something I feel like I can deal with on my own, so it goes on the list for either Buck or Merrigan's. Sigh. The other items have a much more DIY cast: There's a cheap little fitting that will let me refill the little 1-qt propane bottles which fuel my grill and the heater. I can buy in "bulk" in the bigger bottle which is for the patio grill, and then decant into the smaller bottles, saving a ton of money and avoiding tossing out the metal and plastic they're made from. I need a longer cord for the solar panel: Unless I park right, it can be hard to get it positioned in full sun all day. This will involve getting some 10ga wire and some Powerpole connectors and fabricating a cable, but that's do-able. The list goes on. Those are near the top, and fortunately not all that pricey. Part of the agenda for last weekend's trip was to see how the solar panel and the dual batteries worked in boondocking situations. Well, in a word. As long as I had a few hours of direct sunshine, the solar panel topped off the batteries just fine. I had plenty of water: The tank was 1/3 full when I left, and there were several bottles of drinking water in the fridge. Resource issue: internet data. I used a lot when there was a good signal. Not a problem this month; it's comfortably within the minimum I'm paying for. But an extended trip, particularly with a lot of time boondocking, might require some planning. Back in Tucson. Got in early afternoon, unloaded the Beast into the waiting Hyundai (yclept "Buttercup") and was in the house doing laundry soon thereafter. Retrieved my dog from the neighbor friend who'd been looking after her, took a run to the grocery store, and here we are. Reflections on the time away will follow, sometime. 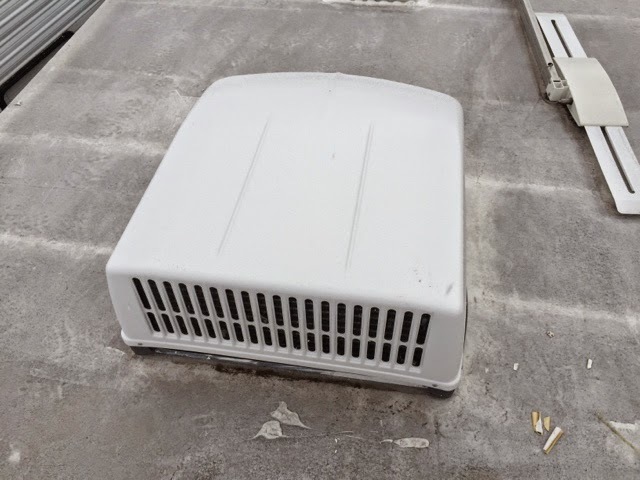 Tomorrow at 8 the HVAC people show up for the annual checkup for the big box on the roof. Yesterday's high winds have abated; it was calm and clear and 33º F this morning. It felt like real camping dreading slithering out of my nylon sleeping bag. It did not feel like real camping turning on the furnace for a few minutes to take the chill off! The interior temperature was 39º F, so I felt that was warranted. I turned the furnace off after about 10 minutes: The catalytic heater is keeping it comfy, with no battery drain to run a fan. Nor does it feel like real camping sitting here drinking coffee and attending to personal finance matters on the computer. I'm headed home. I won't try to summarize this trip experience just yet. But here's some final images from Site 73. I trust that you've learned you can see these full size by clicking on them. of the image. Rule of thirds, and all that. I've been assiduously watering this tree for a couple of days. The little guy on the red ball is, I have decided, the familiar of this place. Emma would have had other ideas. Dance on, little dude! So there I was. Reading and watching the clouds go by. And then I heard a vehicle go by. Not that usual out here. So I looked up. And people with a trailer were pulling in. In my spot. MY spot! I'll spare you the dialog, but the "ranger" had suggested they check this spot out because if it rains they wouldn't get stuck. I pointed out that there's almost a hundred designated campsites in this place, and surely some of them wouldn't pose a flood hazard. And besides, there's no rain in the forecast for days. They're a nice couple from Vashon Island in Washington State. I went back in my rig to do the breakfast dishes (oh, all right, the dinner and breakfast dishes) and fume. When I looked out they were gone. And for all of about 10 minutes I felt guilty. I'm over it now. This wasn't my morning to put my own priorities on the back burner. Not that guy, today. Did I mention this spot has awesome 5-bar Verizon 4GLTE coverage. I can see what I think is the tower out across the valley. Line of sight, baby! Cold last night, as expected. It was in the low 40's inside when I woke up. Turned on the catalytic heater and within about 30 minutes the air temperature was up to the low 60s. Comfortable in jeans and a hoodie. It felt warm immediately where I was sitting reading, because the radiant element was pointed right at me. That's basically how radiant heat works: it heats up the objects it's pointed at, and those objects warm up the air. Lesson: When you're buttoned up tight because it's cold, and you boil water for coffee, the windows will fog up. Lots. I winder how far into the day it will be before I have a clear view. Lesson: Put outside stuff away overnight. I had left the solar panels and my little entrance mat in place last night. A few minutes ago I was reading/snoozing on the couch, and woke up to the sound of pitterpats of rain. The rug got a little soggy, as did the chair. Not bad once the sun comes out later this morning. The solar panels themselves are weatherproof (as they'd have to be) but the controller is not. It's tucked up under the panels, so it's sheltered from light weather, but I hauled it inside just to be sure. Bother. Lesson: Be aware of where the sun will rise, and orient the rig to catch early sun. I need a longer cable for the panels... that's high on my list of projects when I get back. Lesson: When it's nice and toasty inside, and you go out to take a picture, CLOSE THE DAMN DOOR! I'm going to look through the pictures I've taken, and edit this post to add some. They could use some tweaking, but you'll get the idea. And now it's time for breakfast. Monday evening. I’m at the Buenos Aires National Wildlife Sanctuary, about 30 miles south of Three Points. Maybe 50 miles from home. I drove over this morning after a leisurely pack out of from Darby Wells, I stopped at the Coyote Howls (East) RV park to dump my holding tanks. $10. I left a couple of bags of trash as a tip. Then to Sells, and my old stomping grounds: Basha's. This time I swallowed my shame and sneaked in one picture of the juxtaposition of English and Tohono o’Oodam names for supermarket departments. And a hopeful rez dog! Then over here: a whole day of two-lane blacktop, in some cases as I got closer to here, 1 1/2 lane blacktop. I’d been here for about 15 minutes when I fell in love with the place: Big, empty grasslands and scrub, with the possibility of antelope thrown in. Silent, except for the wind which only died down at sunset. No one in sight. I expect the stars will out-do themselves tonight. It’ll be cold: High 30’s. I have a winter grade sleeping bag, and the catalytic heater will take the chill off in the morning. Tuesday will be even cooler: 32 that night! Here’s a few images from this afternoon. I have no plans for tomorrow. As it should be. I’ll be home sometime Wednesday. The coyotes just started up! Still here at Darby Wells Rd, although I thought about leaving this morning. My idea is to head over and down to Buenos Aires Nat'l Wildlife Refuge near Sasabe. I pulled the rig together for travel, and sat down to see what the best route would be. Previous descriptions were a little unclear about road conditions, so I wanted to check in with the HQ people. There's no fee to camp there, but you do have to stay in designated numbered sites. As it turns out, the Visitor Center is closed on weekends. Since I was rigged for travel, I decided to mosey up Darby Wells road and see if there was a better site than I'd had for the past 2 nights. The views opened out a bit, but there was a fair number of rigs parked up there. Nothing better than where I'd been, so I drove back down the washboard road and set up again in "my" spot. I like not having neighbors. Turns out there are folks in a van right up the road from me, but we can't see each other, so they're not there. Right? After a few clouds at sunrise, the day has been clear and bright, and the solar rig has done its thing. I walk past the panels and feel smug. All my stuff is charged full up -- no, I take that back. I should go charge up the Big Jambox for tunes tonight. Thanks again, Mike! Sunny and 70º ... doesn't get much better! I'll bet this is a hell-hole in summertime, but I have no intention of being anywhere near here come summer. Resource management: I'm definitely using bandwidth over-generously, but I'm pretty sure that there won't be many more multi-day trips this month, so that's not going to be a problem. It's being out for a month at a time that will be challenging. Fresh water seems to be in ample supply. I've emptied he grey water on the ground near me -- heck, it doesn't even have soap to speak of. The back tank indicator is higher than I'd like, so I'm making a point of watering a particularly ugly bush. I need a foxhole shovel for cat-scratch sanitation in settings like this, I think. And a hatchet so I can shave kindling and make a fire. I think tonight may be a campfire night. The solar/power aspect of this has to be counted a success, so far. By noon, all of my devices were fully charged, and the house battery bank had recovered from that together with yesterday evening's use. I've been pretty parsimonious with power and internet bandwidth... haven't watched any of my regular Youtube "vlogs," for example. So far I've used 0.43 GB of my 5GB monthly data allotment. So maybe .5/day: if I were way for a month, that'd be 15G. Hmmm. Verizon has provided 2-3 bars of 3G signal since I got here, which seems to satisfy the MiFi hot spot. Things are a big sluggish, but not unbearably so. ATT has about the same signal, but is showing "out of area," which I think means I get charged extra for data use through them here. I put the phone on "airplane" mode as soon as I noticed. I suspect the Maps use all the way out here will cost! The sky has not been completely clear this morning: mostly sun through high haze. It's cleared off for a while now, but the solar charge controller seems to be mostly on "idle" -- maintaining the battery at full. I've spent the morning reading, snoozing, working on a script for a video piece I have in mind. I may shoot some footage for that this afternoon. So far, so good! I'm encouraged. In camp, Friday afternoon. It’s been cloudy all day, but the forecast for tomorrow is sunny, and the sun is making a tepid appearance as it goes down over yonder hill. I set up the solar panels, even though I knew the angle was too low to much out of them. The drive over was pleasant. I LIKE just cruising along on 2-lane blacktop, and that’s just what AZ 86 is once you get out of Tucson. A dashcam is definitely in the works. A cheap dashcam. I stopped at a Basha’s along the way because I’d forgotten to pack plates of any kind; much of the route was on the Tohono o’Odam reservation, and the walls of the Basha’s were adorned with labels in their language. I was tempted to sneak a picture or two, but that just felt tacky. The campsite is OK. Not very exciting, but tomorrow may explore up the (gravel) road a ways and see what it’s like up there. It’s pretty level, but I did break out the leveling block to get the rig within 1 degree of level. More comfortable for me and it makes the fridge happier. I want to post this, but I’m paranoid about power consumption. But part of the point is to see how well the batteries last through “normal” use. I’m here. It feels a little anticlimactic. That’s fine. More tomorrow. Tomorrow morning sometime I'll actually hit the road. After all this maintaining and fussing and fretting ... finally I'll DO something. GO somewhere. Where I'm headed is Darby Well Road a bit West and South of here. GPS: 32.3393, -112.8495 I don't have to be home until next week Wednesday (scheduled maintenance on the HVAC unit on my town home the next day.) I may stay at Darby Wells, I may move a bit to some other relatively nearby spot ... maybe the Buenos Aires National Wildlife Refuge. Approximate GPS: 31.812813,-111.44365 Or not. There are other free BLM camping areas in the area. Darby Well Rd is about 150 miles away along a secondary highway, so I can trundle along at 55-60 mph and not have to deal with big trucks whizzing past me. I'm figuring about 3 hours. I decided NOT to take Emma on this trip. In a 10-day trip last summer she never got really comfortable traveling in the Beast. I wound up tranking her pretty heavily just so she wouldn't whine softly the whole time. So she's staying with a friend here in Tucson, and I'll be alone out there. And that becomes part of the agenda for this trip. Being really alone. It's not too likely that there'll be a whole lot of RV's camped on a somewhat remote gravel road on the south side of Nowhere, AZ. (Famous last words?) Even when Emma's just snoozing somewhere (she's a champion snoozer) she's a presence. Let's see how something close to real solitude feels. The other agenda item is to see how much "mileage" I get out of the solar panel and dual batteries. How much do I have to be aware of conserving power? Can I live more or less normally, counting on the modest solar panel to recharge the batteries each day? I have the generator as a backstop, and I could always just hightail it for home in the worst case, so this seems a fairly safe experiment. I'm taking along the video gear -- more than the iPhone. There's a couple of projects I want to work on, and shooting exterior footage out in the desert is more interesting than the storage lot. And again, I want to see how much power that takes, and whether the solar/battery combo can keep up. There's another issue looming here. I'm due for some surgery: I injured my right knee in November, and it's now clear that the only fix is a TKA -- total knee arthroplasty. Knee replacement. I had a hip replacement a while back, so I know a little about what to expect. The issue is not whether to do it; that seems inevitable. It's about when. Do I limp along (literally) through the summer, spending lots of time on the road, as planned, and have the surgery in the fall or whenever I literally can't stand the pain? Or do I schedule the surgery as soon as I can, and hit the road with a brand-new knee? How long will the recovery period be? So that'll be on my mind as I head out on this week's short foray. Why did gas prices go up again? Does anyone understand this? It does give me a way to see how full the fresh water tank is, though. I'll scout the various electronics stores for replacement spring-loaded SPST 12V switches that fit in the opening. Is it too much to hope that these are standardized? The green indicator on the "pump" switch is an LED which turns out to have been held in place by bubblegum. I'll have to figure out how to stick it back in place when I close this up "for good." The rig is vacuumed. The hot water heater works. The stove works. The water system, as reported this morning, works. The refrigerator makes the right noises. The fan on the vent whose cover I replaced works. The solar panel pumps juice into the batteries. The dinette table is stabilized. Slowly, getting ready to hit the road. A friend read one of my earlier DIY-type posts and asked in the nicest way, "Why are you telling us this?" Because this is kinda scary. And I'm pleased to be tackling it, solving problems, and owning this thing. Lots of progress in the almost 12 months since I got this thing and didn't know jack about how it worked or even what was in it. The nasty gash at the rear of the roof is all patched with Dicor sealing tape. The anti-freeze is rinsed out of the water system and the tank partially filled with fresh water. "Partially" -- there's the rub. I guess that's on tomorrow's list. Right now it's time for lunch and a nap. I've written before about the urge to simplify life which seems to animate some of the RV bloggers I read. I've said that I like my "stuff" and while I'm engaged in an ongoing effort to rid myself of things I haven't used or even looked at for years, that's not my principal motivation in wanting to venture forth with the Beast. Man, does that resonate. As I prepare to take off for a few days, I realize that cell-phone signal strength is high on my list of desiderata in choosing places to hang out. Gotta think more about that. Today's agenda for the rig involves putting patch tape on that crack, and flushing out the anti-freeze. The doves have returned to my neck of the southern Arizona "woods." I think that means that it's time for me to fly the coop for a while. Looks feasible to get out for a few days toward the end of this week. The parts for the completion of the rear axle rebuild will be in during that time frame, so I can get that done when I get back. Here's what I think needs to be done before I take off. I'll edit this list as I cross things off. The first three of those could be done today, if nothing complicated pops up. Maybe the water system flush in the afternoon after my mid-day appointment on the East Side. I'll be headed for the spot I described earlier down by Organ Pipe Nat'l Monument. Maybe move after a couple of days, maybe not. I'll take the dog with me on this one. If I can wake her up! This is good news. The shroud fits nicely. The bad news is that it started to rain. When the rain stops I'll go back and secure it. LATER: Not quite done. I have to go back up with a drill and enlarge some holes so everything's well and truly buttoned down. It rained a couple of times: each time I went inside, and then came out, dried the slippery aluminum ladder rungs, and went up again. EVEN LATER: The situation with the dinette table is something I can't figure out how to describe. I really should have done a 30-sec video clip. The problem is that the table has a tendency to collapse when the rig is in motion. Not good. The solution, I think, is to move the attachment points a bit. You'll just have to take my word. While I was up there I discovered a pretty major breach at the left rear edge of the fiberglass. Here's problem, viewed from below: This is the rear of the rig, driver's side. And there's a closer view, taken from the roof, looking down. In this view, the driver's side is on the right. It's not really clear in this image, but it looks as though there was an impact over the whole circled area... blunt force trauma, if you will. The seam on the right of the image also needs love. I said you wouldn't hear any more about the a/c shroud. When the clip is done, YouTube seems to offer another clip to watch. I have no idea why. Watch at your own risk. There are pre-drilled holes in both parts where the rivets go. And as I went happily riveting along, it became clear that the two pieces don't *exactly* fit together. Close, but ... I had to deform the grey band slightly to make Tab A fit into Slot B. I was getting frustrated, wondering if I'd screwed up somehow, or if the parts were wrong, or ... in any event, there were two places where I just could not get the holes to line up. Close: the difference was maybe 1/8 inch. The arrows show where the two pieces had to be bent a little to make them fit when the thing was assembled back in 1999. OK, then, this is just the way it is. So my solution: if the holes don't quite fit, make new holes! I have a drill. I'll basically enlarge the holes slightly, working with the grey rubbery piece so as not to risk shattering the white fiberglass. And unless there's some interesting disaster, this is the last you'll hear about the shroud for a while. This is the rivet tool I just bought, to put together the shroud which the Dometic customer service rep assured me needed no assembly. That grey band draped across the white dome is base of the shroud, which is attached to the top with -- you guessed it -- rivets. They do provide the rivets, washers, and directions with pictures. And two pieces of foam which I haven't figured out what to do with. Maybe I should read the directions. The box it arrived in wasn't in all that good shape, but the unit seems undamaged. On we go. I've actually thought of some other uses for pop rivets, so it's not totally a one-shot Charlie. I'm thinking about comfort. If I'm gonna spend weeks or months in the Beast, that becomes important. I need something that folds and is fairly light. It's important that I can move it in and out of the rig as temperatures and light (and bugs!) suggest. ... and they have matching footstools. Maybe I actually have to go into my local Camping World store and sit in one. This morning's adventure was changing the oil in the generator. This is the best I can do by way of a visual, folks. I'm making a point of finding the basic info on each of the major appliances. Yet to go are the refrigerator, the hot water heater, the furnace, the drinking water pump. It was a messy morning. It started at Pep Boys, then to the storage lot, then to Lowe's (which, thank God, is 2 minutes from the storage lot) for a T30 Torx driver. This exotic critter was necessary to take the cover off the drain plug. The whole thing went really smoothly, except that I misjudged where to put the drain pan and doused me and a patch of dirt with warm oil. It also turns out that my new funnel is exactly the wrong shape to direct oil into the filler hole, so that was awkward. But it's done. And I now know where the unit's 12VDC fuse (for control circuits) and the 120VAC circuit breaker are, AND I learned there's a "start" switch right on the unit, so I don't have to go inside to start it and turn it off. And I learned how to take the cover off so I can get at the guts of it without a partial disassembly like I've done before. Oh -- I Do have another picture for you! Here! That's the elapsed time meter for the generator. It cannot be reset, so I know that since 1999, the generator has been run for 451.6 hours. 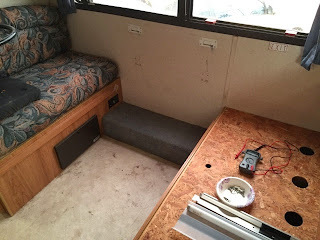 That's not a whole lot: One of the things I just learned is that the best thing to do for your generator's health is to run it for an hour under medium load once a week, regardless of whether you're using the RV. You change the oil every 100 hours or every year, whichever comes first. I am indeed a bear of very little brain. It pleases me to know these things. About 2-3 hours from Tucson. Open cactus country. I'm thinking I'll take Emma ... she won't like the drive over much, but she'll be fine once we get there. It's maybe 300 miles round trip, so one tank of gas will more than cover it. Other than just plain getting out, the agenda is to see if the solar panel will support living in a location like this... can I charge up enough during the day to use lights at night and cook and all? I'll log some computer time, but not much internet: weak Verizon 3G signal. That's fine. I have some video editing projects backlogged that won't need net access. Do-able. I have some scattered appointments here in Tucson so looks like the time frame of Feb 20-25th is what I'm aiming for. I've written before about my discovery of online communities of interest. I'm still fascinated. Anecdote: Person 1 buys a new computer, wants to sell his partially-converted van and buy a Class B motorhome. He offers his old computer as a finder's fee for anyone who can find him the exact Class B he's looking for. Person 2 finds him a rig that meets his specs. Person 1 negotiates a purchase of the new rig, and plans to send the "old" laptop to Person 2. Person 2 says he doesn't really need a new computer, and suggests that Person 1 gift the computer to Person 3. Person 3 is very grateful. In the mean time Person 1 sells his van to Couple 4, who will complete the build and document the build and their travels on YouTube. None of these people had ever laid eyes on each other, until all this happened. Now, they're all following each others' blogs and YouTube channels, and the people who were following Persons 1-2 are now following Couple 4's YT channel. Anecdote: I follow an RV-themed blog from people who are starting up a new web site to help RV'ers find places to camp. Free. So far. I subscribe to the web site. Another person whose blog I follow is staying at the place near Ajo I described up top.. so I message him to find out about the road conditions in. I get a quick, brief, to-the-point response. Looks good. He'll be headed to Tucson about the time I may be headed to Ajo. The main camera for YT folks is the GoPro. It's cool. It's expensive. There's a family of GoPro-like cameras called SJ Cams. These have almost all of the features of the mid-range GoPros at a fraction of the cost. Why another camera? I've enjoyed the "dash cam" footage on some of the YT channels. These are so small that they could document a hike or side-excursion and just slip in a pocket. This morning I'll call Dometic with my model number and (hopefully) confirm that the a/c shroud I have bookmarked on Amazon is the right one, and order it. Two-day delivery, no charge. 3% discount if I use my Amazon card. Yes! I'm maybe kinda sorta planning a trip in the next few weeks to spend some time south and west of here, and I'd like to have the Beast shipshape if I do. I'm lucky: some people who buy used RV's don't get manuals, or service records. I got both. I'm hoping to maintain the records so whoever owns this rig next will have good info on what I did and why. I digress. For some reason, messing with the generator doesn't scare me. I grew up with small gasoline engines on various lawn mowers and other gear. I can even gap a park plug, although I'm not sure anyone does that any more. But this idea of working on the generator, or "genset" as we RV'ers seem to call them, has led me into truly scary territory. The thing holding me back here isn't conceptual complexity. This is emphatically NOT rocket science. It's intuitions: how tight is too tight for that filler plug? How much force will it take to remove the old oil filter? The way to develop intuitions is with experience, right? Why do this myself? I'd save some money. Not a lot, but with multi-thousand-dollar repair bills for stuff I cannot do, maybe saving a few bucks on stuff I can do makes sense. It's not the money, though. It's claiming ownership of this enterprise of RV travel, de-mystifying the machine I'm traveling in and dependent on. And hell, it's a few macho points, which have increasing value as the birthdays mount up. If I do this myself, what I'll miss out on in is the inspection Buck's technician gives the rig when he's changing the oil and fluids. But I can take it in for that, from time to time, and they don't even charge for it. A while back I said I was confident that I'd found the right replacement shroud for the Dometic roof a/c unit. Not so fast, bucko! I didn't have the model number for the a/c unit, so the manufacturer's consumer service guy (rather brusquely) said he couldn't help. I called the RV manufacturer (Forest River now owns Coachmen) and after a couple of emails, I got the info I needed to go find the ID for my unit. Model 57915.622, my old friend. It was up in the ceiling, behind the vents, which had to be removed, and further behind a metal box which has the thermostat circuitry, which also had to be removed. Of course! Here's the thing: I'd poked around in there and not gone in deep enough. All it took was someone who knows these things to tell me it's in there somewhere, and I solved the problem. Sometimes knowing there is a solution is all it takes to find it. Of course, by now the unpleasant Dometic guy has left for the day, so it'll be tomorrow before I can get the part number for the shroud and order it. While all this was happening, Amazon delivered a fresh supply of spa chemicals and test strips. Not a moment too soon. Very early Sunday morning. Walden. Divestment. Catching up on other folks' blogs overnight. It's becoming a morning ritual, and I'm slowly beginning to feel connected to people out there who share this interest, whatever it is. Howdy, y'all! Simplicity. "I went to the woods because I wished to live deliberately, to front only the essential facts of life, and see if I could not learn what it had to teach, and not, when I came to die, discover that I had not lived." This is a classic line from Henry David Thoreau, whose Walden is one of those books everyone used to read in high school. I did. This impulse seems to be a constant in the American experience: The real world becomes too much to bear; too noisy; too crowded; too much. And so we leave it behind. Thoreau spent two years in his cabin in the woods, and then returned to his regular haunts. He wrote a book, started another, and listened to the loons. Considering a DeLorme communicator. Emergency contact, sure. I think about that. Mostly, to be honest, because it seems like a cool gadget. So does my new solar panel. So, for that matter, is the whole damn RV. I've been avidly watching some YouTube series in which an RV of some sort -- a van, a trailer, a motorhome -- is torn down and rebuilt. These give me confidence. They de-mystify the Beast... and I realize that if the dreaded dry rot should show up, I could figure out what to do. That this is something that can be taken apart and put back together, not a big monolithic Thing which I have to accept on its terms. I just had a tiny example of that: replacing the vent lid which went AWOL. It may or may not show in the video clip, but I was absurdly pleased with myself over that simple task. I have the good fortune to be able to maintain my "sticks and (adobe) bricks" residence at the same time I hit the road. Will there come a time to fully divest? To cut the cord, sell the house, and become a full-timer? Dunno. I doubt it, but never say never. Only time on the road will tell me. The things I do for y'all. All 10 of you. 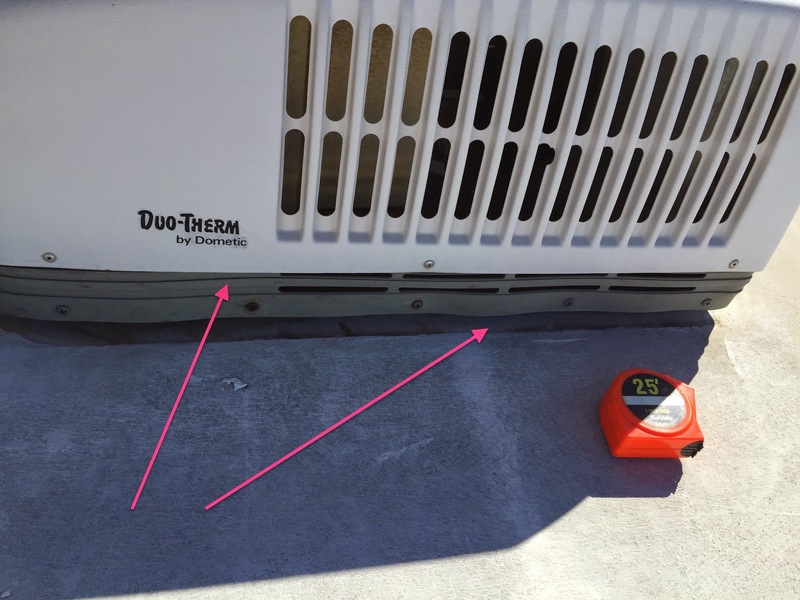 Here's before and after pictures of the roof vent area. After. As if you couldn't tell. This blog thing is getting real, that is. I just recorded a visit from someone who seems to be in Izmir, Turkey. I don't know who you are, or how you found me, but welcome! I'm not really happy up there: back and knee issues make that kind of scrambling around painful and sometimes scary. I wasn't sure about whether I'd actually be able to do the repair job on the vent cover. Trying to set up camera angles so as to capture the "action" was something of a distraction, and obviously didn't work perfectly. But it all worked. A few days ago, I wondered if I could do this kind of DIY work on the rig. So far, so good. Replacing the a/c cover may take a second pair of hands, just to get the thing in place, but there's a couple of people I can probably talk into helping with that project. So on we go. I'll take a picture of the competed project and put it up here so you can see what I actually did. I can't believe I didn't get that shot, but by the time I was done up there I just wanted to get off the damn roof! I said I might live blog. Well, no. I shot video with my iPhone, brought it home, and edited it. The big problem: the "action" all takes place off-camera. The vent dome replacement involved working on the front edge of the front vent, and there just wasn't room to put a camera out there. There are some missing shots: I never did take a picture of the finished job from the outside, for example. But I did learn what's involved in the process of making a short video, putting it up on YouTube, and then including it in this blog. But here it is. I'd be happy to get comments on the quality of the video. As for the repair work, the a/c cover simply needs to be replaced. And I need to caulk around the hinge on the the vent cover I just installed. But all in all, it was a good time. A lot of the day will be spent down at the storage lot, working on the Beast. I'm looking forward to it: the problems I'm working on there actually have solutions. The vent dome lid can be replaced. The a/c cover (shroud?) can be replaced. I've found a few places where the I need to do maintenance in the roof itself... not many, and I gather that at least a couple of times a year I should go up there and check on things. All this is new to me, but various resources on the internet show me videos of how to do what needs to be done, help me find out what I need to do it, and send it to me. So many of life's challenges don't have solutions. The best we can do is work round them: my various arthritic joints are a good example. This stuff has a solution. One of the video "blogs" I follow is Eric's "Nomadic Fanatic" channel on YouTube. He's just discovered a big patch of dry rot in his rig, and is systematically tearing it out and replacing it. Scary, but a solvable problem. Someone asked me the other day what this blog is really about. Who am I writing to? Partly I'm writing to myself: this is a log in the original sense, and I'm using it to keep track of what I did to and with the rig. The rest of you are to be pardoned if it's not very interesting. In time, this will become something of a travelogue: where I go and what I see. I'm hopeful that will be more interesting to y'all. Time for breakfast. I may "live blog" from the RV roof as the day goes on. I just got the replacement dome lid for the front ceiling vent. It's a little too late in the day to attack this project, and actually it's a little hot! (Eat your heart out, Boulderites!) But tomorrow we see how this goes. I plan to be extra careful not to scratch it so if it doesn't fit I can send it back. The challenge is to see how few trips up and down the ladder I need to make. What did we do before Amazon.com? Not by the Drifters, but you get points if you can sing the chorus. The weather was great, so as planned, I drove down to the storage lot to see what was what with the missing vent lid. The first step to get on the ladder is a little nasty even if you don't have a bum knee, so I took the folding extension ladder to make it a bit easier. Right at the top of the ladder, there's an ominous sign which says DO NOT STEP HERE. Oh. Umm... so I kneeled. Not one of my favorite maneuvers right now, but it worked. With balance issues in mind, I crept around up there on hands and knees. Fun. First thing I noticed was a problem I didn't know I had. That's the cover on the a/c unit with a big ol' hole in the leading edge. This is new: I wonder if the vent lid caromed off the a/c on its way overboard? A little research on Amazon, EBay, and the owner's manual helped me find the right replacement, and it makes sense to get it from Amazon, with the 3% off I get by using their card. Can't say I'm nuts about the cost, but it does look like a job I can do. Proceeding forward, the naked vent was obvious. The fan works just fine, so the day out in the rain and snow don't seem to have damaged anything but my peace of mind. Unlike the a/c unit, the model number for this Fan-Tastic (?!) vent was in plain sight. But that didn't help a lot finding the right replacement lid. I'm still poking around trying to find one. It looks like I might need a new strut (lower left of picture) but I'm not sure. And so it goes. I need to call Buck about finishing the differential rebuild. The recent episode of the disappearing roof vent cover raises the general question of what RV repairs I can expect to do myself and what I need to hand off to the pro's. The easy case: repairs to the rear axle differential. Not me. I lack tools, experience, knowledge, and workspace. But things like the vent cover and roof maintenance? I'll clamber up on the roof some time today and look at the situation, and I'll know more. Couple thoughts here: The industry seems to have standardized on dimensions of some components. RV roof vents, for example, seem to mostly be 14 X 14 inches. There are three materials used for RV roofs: metal (think Airstream,) fiberglass, and rubber. (Mine is rubber.) Parts seem readily available through Amazon. Manufacturers and owners post how-to videos for LOTS of projects, including vent and vent cover replacements. The scariest part has to do with maintaining the integrity of the roof: not making unwanted holes and sealing the ones you want. For holes, there seems to be a generalized process: drill pilot holes (gulp! ), put butyl tape around the perimeter of the object, put screws through the holes and the tape and tighten just enough to see the butyl "ooze" out between the vent and the roof, then use Dicor self-leveling caulk on the screws and all around the edge of the vent. Perhaps famous last words, but that seems do-able. If I'm replacing an existing vent, removing the old vent without damaging the roof seems like the trickiest part. As long as specialized and expenses tools aren't required, I don't see why I can't tackle this kind of project. But: I've had back problems for years, and recently I've been dealing with old knee injuries which have gone acute. Getting up and down off the roof and moving around up there will be, well, challenging. I'm OK with doing things which hurt, as long as the pain doesn't mean I'm causing further injury. I have to be. More important is whether this (or similar projects) would raise safety issues. With care, I think not. We'll see. If it's a long time before the next post, you'll know why. Here I am in the parking lot of Kranberry’s Family Restaurant in Lordsburg, NM. Drove just long enough: 8 hours from 9 to 5. Pushing through to Tucson just didn’t make sense. The obligatory picture of me and the big boys. I was hopeful that a family restaurant would have a TV set: I’m missing the Super Bowl and from the looks of the NYT live blog, they need me! No TV. The day was easy and enjoyable. Packed the rig, had a quick debrief with Saint, hit the road. The road was clear and dry, the sky was sunny, no wind. I love the big open spaces of New Mexico, and today was all about that.